Cartek Motorsport Electronics are pleased to announce the new Power Distribution Panel. 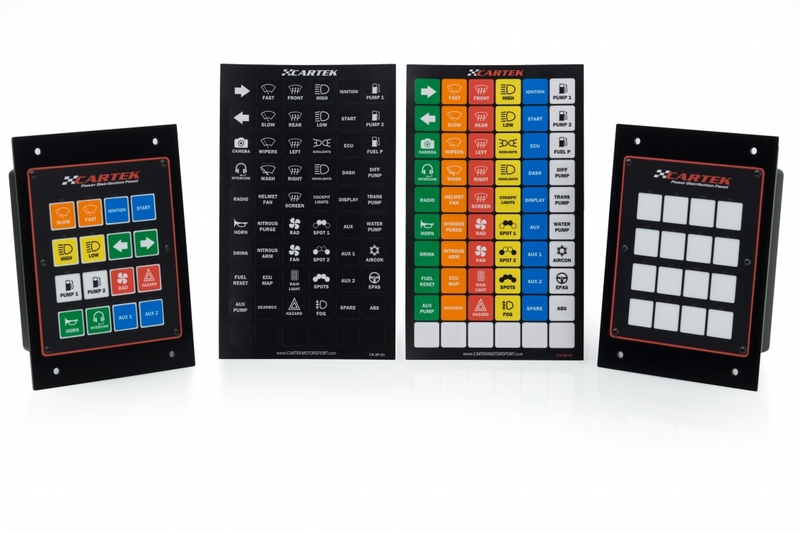 This product is a full redesign of their successful but bespoke, Power Control Panels, with the main aim of allowing the user to customise and configure it themselves. 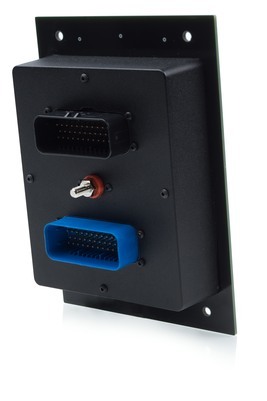 The CARTEK Power Distribution Panel is an all-in-one solid state solution to power distribution in your race car. Designed to replace all the Fuses, Relays and Switches – this unit greatly simplifies the wiring, saving weight and maximising reliability. 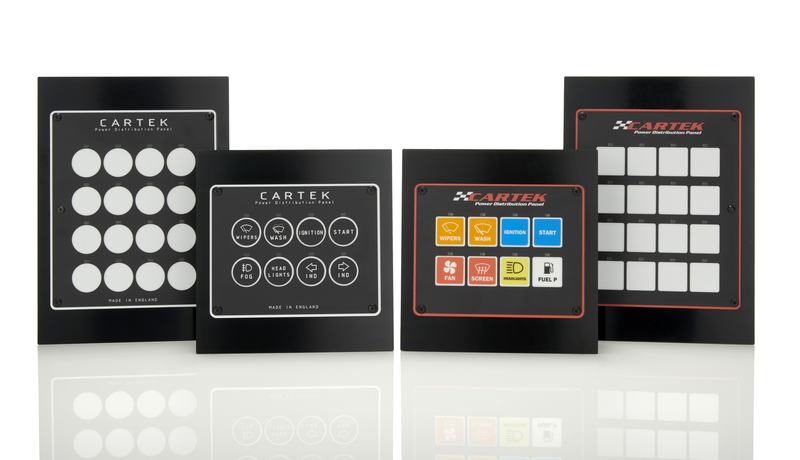 The CARTEK Power Distribution Panel is a Power Control Unit and Switch panel in one, The main advantage of using a Power Distribution Panel is that it directly replaces Fuses, Relays, Switches and all the wiring in between. ● Over Current and Short Circuit Protection – no Fuses or Relays needed. ● Multi coloured Label Sheet included for full customisation. ● 2 Back light settings as standard. ● 8/16 Momentary Switch Inputs – allowing any channel to be operated by an additional switch or the CARTEK Wireless Control System. ● 8/16 ECU Inputs – allows the ECU to turn on channels such as Fuel Pumps. ● 4 Dedicated function inputs – Flash Input for Lights, Wash Input for Wipers, Wiper Park position etc. Unlike most PDM’s on the market our Power Distribution Panel does not need a laptop to program the configuration. Preset options for functionality and current settings can be chosen by going through a simple process via the switch panel (see tutorial video). This saves the user time and any potential labour costs in setting it up. 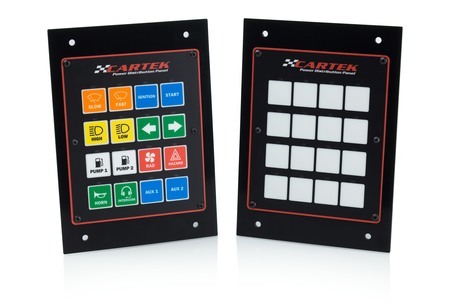 The CARTEK Power Distribution Panel is one of the most cost-effective solutions on the market due to the switch panel being designed as part of the package, whereas most other PDM’s require expensive CAN-Bus Switch Panels to be purchased and programmed separately. Both Label sets allow back light illumination. We have now produce a different version of the Power Distribution Panel catered for the Retro market. The front fascia has been redesigned for a classic look, and also comes with its own Retro label sheet. 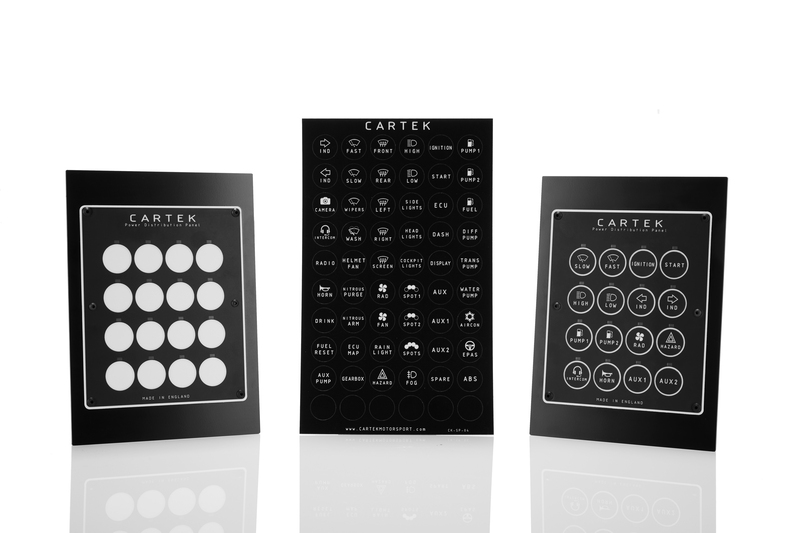 CARTEK offer a choice of connection packages, each sold separately. The Power Distribution Panel has two dedicated pins that can take in the Kill Signal from a CARTEK Battery Isolator XR. This will then shut down the Power Distribution Panel which will stop the engine from running if the ECU is powered by the Power Distribution Panel. The Power Distribution Panel also has 16 switch inputs and 4 dedicated inputs, meaning you can use our Wireless Control System to activate and control channels. CARTEK also produce a smaller 4 Channel Power Distribution Module that can be used if you need to power more channels. The 4 x 10 amp outputs can be used to control power to various devices such as ECUs, instrumentation, lighting, starter solenoid, radiator fan, etc. 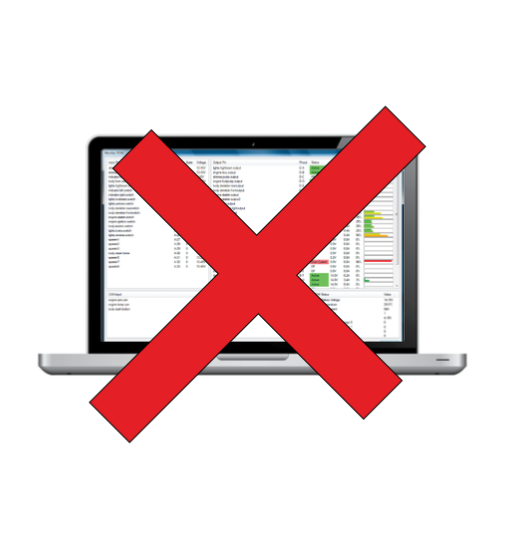 Channels will automatically shut down if a short circuit or over-current is detected – LED Status indication on the PDM makes fault finding simple. Wiper Control Dedicated Wiper module with park position input. Dedicated Wiper module with park position input. Environmental Protection: Front and Rear Gaskets, protection from Dirt. Front and Rear Gaskets, protection from Dirt.